Ron Mottola — J&B Dental Studio, Inc.
Ron Mottola received his degree in Dental Laboratory Technology in 1984. He started with J&B Dental Studio in 1982 and is now serving as our Vice President. 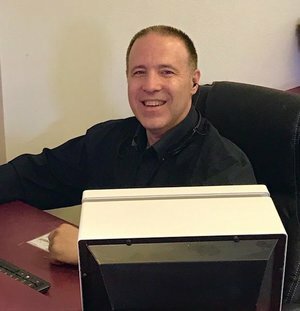 Ron has conducted clinics on implants, waxing, staining, and glazing and his knowledge has played an integral part in the success of J&B Dental Studio. In addition to his work as a technician and on the 3Shape Scanner, he specializes in communication with our doctors. He is a partner in the lab with over 30 years of experience and expertise in implants, custom abutments, and CAD/CAM design. He is also the head of the milling department here at J&B.